We looked at the top 14 Convertible Car Seats and dug through the reviews from 178 of the most popular review sites including New York Times Wirecutter, Consumer Reports, Baby Gear Lab, Car Seats For The Littles.org, Car Seat Blog, Lucie's List and more. The result is a ranking of the best Convertible Car Seats. Our experts reviewed the top 14 Convertible Car Seats and also dug through the reviews from 178 of the most popular review sites including New York Times Wirecutter, Consumer Reports, Baby Gear Lab, Car Seats For The Littles.org, Car Seat Blog, Lucie's List and more. The result is a ranking of the best of the best Convertible Car Seats. When it comes to ease of installation, the Britax Marathon can't be beat — just buckle a seat belt and you're basically done. Rigorous testing also reveals excellent safety, comfort and adjustment features that make it possible to keep even tall kids rear-facing for longer. DWYM Baby and Kids Experts plus New York Times Wirecutter, Lucie’s List, Consumer Reports, BestReviews, Baby Gear Lab, Car Seat Blog and 2 more. Along with user reviews from Amazon, Walmart and Target.
" After 20 hours of research, including testing nine popular convertible car seats at home and crash-testing six finalists in a top lab to measure their side-impact performance, we think the Britax Marathon ClickTight is the best one for most families." "It lacks the deeper head wings found in the Boulevard and Advocate CT"
Taking into account safety recommendations for keeping children rear-facing for longer, the Graco Extend2Fit offers better leg room and a nifty footrest to keep legs from dangling. It has excellent crash test results, with more challenging installation being its only sticking point. DWYM Baby and Kids Experts plus New York Times Wirecutter, Consumer Reports, Baby Gear Lab, Car Seats For The Littles.org, Car Seat Blog and 1 more. Along with user reviews from Amazon, Walmart and Target.
" The Graco Extend2Fit performed second to the Britax in our crash-testing." "Rear-facing to forward-facing transition using LATCH can be difficult." Accommodating kids from 4 to 120 pounds for up to 10 years of use, the Graco 4Ever is perfect for anyone who really only wants to buy one car seat. As far as safety goes, it has a steel frame and easy-to-use harness that doesn't need rethreading. Plus, your child will love the double cup holders. DWYM Baby and Kids Experts plus The Bump, Lucie’s List, BestReviews, New York Times Wirecutter, Consumer Reports, Car Seat Blog and 3 more. Along with user reviews from Amazon, Walmart and Target.
" The name says it all. This best car set for toddlers can be used from birth until your kid is 120 pounds! Parents also boast about the steel frame, energy-absorbing padding, a great harness system and two cup holders for..."
The smaller profile and lighter weight of the Evenflo Tribute LX make it ideal for traveling, parents with smaller cars or people who need to take the seat in and out more often. It's budget friendly, but still performs well in crash tests and has similar safety features to higher-end models. DWYM Baby and Kids Experts plus BestReviews, Consumer Reports, Baby Gear Lab, The Bump, New York Times Wirecutter and 2 more. Along with user reviews from Amazon and Walmart.
" Less bulky than other seats we've reviewed. Works well in smaller cars." "Rear-facing fit to vehicle with seat belt. - Belt locking clip required for most vehicle belt installlations. - May require a rolled towel for installation at a proper recline angle." We identified the majority of the convertible car seats available to purchase. 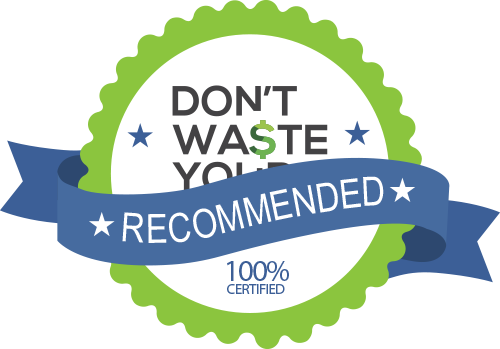 Reviews from our DWYM category experts and analysis of some of the most respected sources including: New York Times Wirecutter, Consumer Reports, Baby Gear Lab, Car Seats For The Littles.org, Car Seat Blog. After 20 hours of research, including testing nine popular convertible car seats at home and crash-testing six finalists in a top lab to measure their side-impact performance, we think the Britax Marathon ClickTight is the best one for most families. The Marathon ClickTight is Britax's flagship car seat, and in our testing, we found that it has high quality construction, great safety features, super easy installation, and comfort. It has lots of adjustment point, 14 height adjustment points for tall children. No guess work on the tightness of your childs straps with the click type system. The Britax Marathon ClickTight utilizes the ClickTight system that makes installation virtually foolproof and removes the need for extra strength out of the equation. We think the Marathon is a good-looking, high-quality seat that is very easy to use. It doesn’t have a built-in cupholder, though. We also the crotch strap to be a bit short, resulting in the lower straps digging a bit into chubby baby thighs. ClickTight feature can be difficult to open when removing seat. It isn't the best choice for city dwellers as it is heavy and not suitable for carrying very far. It is also expensive and the crash test results are below the average in this review. Resonable price. - Lightweight. - Narrow width may allow three car seats to fit across in some vehicle back seats. Budget-friendly, better crash test results, narrow. This toddler car seat made with EPS foam, which provides the same superior impact protection often featured in pricier models. The Evenflo Tribute LX weighs just 9.1 pounds, making it easy to move and travel with. Lots of parents choose this as an affordable secondary car seat for a caregiver or grandparent’s car. It’s compact, has a removable cup holder, machine-washable pad and four shoulder-strap positions to adjust to growing tots. The Evenflo Tribute LX car seat is great for travel – compact and lightweight. Rear-facing fit to vehicle with seat belt. - Belt locking clip required for most vehicle belt installlations. - May require a rolled towel for installation at a proper recline angle. Thin padding, harder to install, lower quality. Maybe your baby has outgrown his or her infant car seat. Or perhaps you don’t like the idea of having to buy several different types of seats or boosters. Either way, it feels like the time to consider purchasing a convertible car seat. All children ages 8 and younger — depending on their height and weight — are generally required by law to use some form of car seat or booster. You are probably familiar with the infant car seat, also called the bucket or pumpkin seat. It’s a rear-facing seat that is detachable and clicks into a base that stays in the car. Infant car seats typically have a carrying handle, may have an adjustable shade and can usually be used with a stroller. It is hard to beat the convenience factor of the infant car seat for taking a sleeping baby in and out of the car easily — and for transporting them in general. But they are generally only considered safe until your child is 35-40 pounds at most. Hence, the convertible car seat, which typically starts as a rear-facing car seat up to around 40 pounds, and in some cases, can then convert to a front-facing toddler seat and, later, to a booster seat around 120 pounds. Just remember, convertible car seats are bulkier, heavier and are typically meant to remain in the car. This means you will need to consider having a separate stroller or baby carrier when your child is young. Convertible car seats attach to the car using either a LATCH (lower anchors and tethers for children) system, which is part of your car, a seatbelt or a combination of the two. 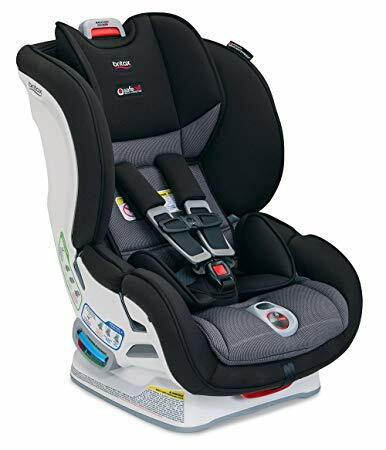 The Britax Marathon, for example, uses their ClickTight installation system, which allows you to simply use a seatbelt to secure the seat (although using the built-in tether latch in your car is also recommended). From a safety perspective, each convertible car seat uses different materials and construction to bolster safety. 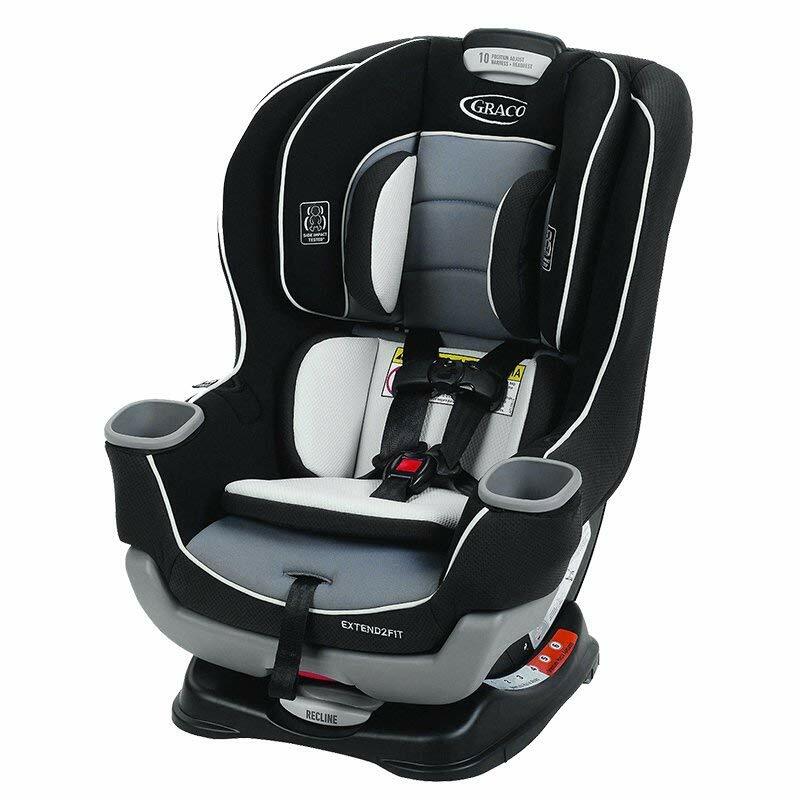 The Graco 4Ever and Britax Marathon car seat both feature a steel-reinforced frame. Convertible car seats also typically have a 5-point harness system that can be adjusted in various ways as your child grows. Most importantly, convertible car seats allow kids to be rear-facing for longer and can accommodate children of various sizes. The National Highway Traffic Saftey Administration advises keeping a child rear-facing and in a car seat in general as long as possible, based on height and weight requirements for the seat. 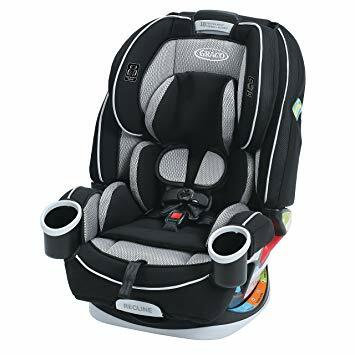 Car seats like the Graco Extend2Fit, for example, are being built to allow rear-facing for up to 50 pounds and include an extendable panel that provides more leg room. This combination of safety and maximized comfort is truly only available with convertible car seats. Cost is an obvious final deciding factor for purchasing a convertible car seat. Instead of purchasing three or even four separate car seats and a booster, you are able to use one unit throughout childhood. This also lessens the impact on the environment since car seats expire and are only partially recyclable. While convertible car seats can be on the pricey side, you will hopefully only be shelling out money for them once or twice, depending on whether you have multiple drivers or caregivers. The very first car seats were created in the 1930s with the sole purpose of keeping kids from moving around in the car. In the 1970s, the NHTSA began to put regulations in place. The first laws requiring parents to use car seats for children under a certain age weren’t passed until 1985. We’ve certainly come a long way! Did you know that car seats expire? While they don’t necessarily spoil like old milk, they do become less safe due to a variety of factors. Materials like plastic can become brittle due to constant exposure to heat, cold and sun in your car, metal parts can rust and other parts could go missing or be discontinued. Everyone’s car seat looks a little battered from everyday use. Even so, hairline cracks or reduced elasticity in the straps might be harder to notice, but can really matter in a crash. Because the No. 1 concern for car seats is safety, you should always check a seat’s expiration date before buying or resuing. You can typically find this information on the car seat itself, in the manual or through the manufacturer. Most car seats expire in 5-10 years, and convertible car seats tend to fall somewhere on the higher end of that range. But what do you do with an expired car seat? Unfortunately, the best thing to do is completely dismantle it and recycle the plastic parts so that no one tries to reuse it. If you don’t want to go through all that trouble, try a car seat trade-in event at a local store that sells baby gear. You will need a car seat starting on the first day you drive your bundle of joy home. All 50 states have laws requiring the use of a car seat until your child is at least 7 years old. Also, most states require the use of a booster seat until your child is a certain weight and height (usually between the age of 8 and 10). Since you will need some form of car seat or booster for a large portion of your son or daughter’s childhood, it’s not a bad idea to consider convertible car seats since they last longer. Some, like the Graco 4Ever car seat, boast up to 10 years of use. Anyone who has seen how gross a car seat can get knows how important it is to take into account how easy it is to clean. Many car seats come fitted with covers that you can’t remove and can only spot clean. Ideally, all fabric should be able to be removed for cleaning. Better yet, look for machine washable covers. It may seem minor, but when buying a car seat, consider whether or not a cup holder is important to you. Sometimes it’s better to have at least one so you aren’t distracted by handing your child water or a snack while driving. On the other hand, you may want to keep food and drink away from the seat. The Graco 4Ever and Graco Extend2Fit car seats both have two cup holders. The EvenfloTribute LX has one, while the Britax Marathon has none. Lugging a car seat around is no fun for anyone. If you plan to switch your car seat between cars a lot or will be taking it with you while traveling frequently, you’ll want to consider the overall weight. For instance, the Britax Marathon car seat weighs in at 28.4 pounds, while the Evenflo Tribute LX is only 9.1 pounds. Even if you think you’re an old pro at installing a car seat, it may be worth getting it checked out after the first time you do it. Car seat designs change from year to year and each model can be a little different. The National Highway Traffic Safety Administration offers locations where you can have your car seat and installation expertly inspected. The straps of a car seat should always be snug, even if your child protests. You should only be able to fit one finger between the strap and your child’s shoulder and you should not be able to pinch any excess harness fabric between your fingers. Also make sure not to put your child in a car seat wearing a bulky coat, which could require you to make the straps looser than is safe. In addition to the straps being too loose, another common mistake many parents make is placing the chest clip — sometimes called the retainer clip — too low or too high, which is actually a pretty serious safety concern. If it’s placed too high, it could cause choking or a neck injury. When placed too low, your child could be ejected from the seat in the event of an accident. The ideal placement of the clip is the middle of the sternum, lined up with the top of the child’s armpits. It’s worth reminding grandparents or other caregivers of this placement as well. According to the American Academy of Pediatrics and theNational Highway Traffic Safety Administration, a car seat should be installed facing the rear until your child turns 4 or outgrows the seat (based on the individual seat’s safety requirements for height and weight). Even if your child’s legs look cramped, they are still safer facing backward. 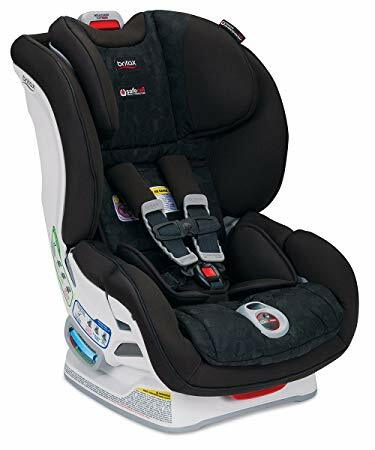 The Graco 4Ever, Britax Marathon and Graco Extend2Fit are all car seats designed with rear-facing placement in mind and offer a little more space for taller kids. It’s important that you use the LATCH system (lower anchors and tethers for children) in your car that your car seat is designed to work with. All cars manufactured after 2003 are required by the U.S. government to have at least two seats with lower anchors — usually positioned near the seat belts — and three spots with tether anchors, typically behind the headrests or seats. Even if your car seat model uses a seatbelt rather than the lower anchors — like the Britax Marathon — you should still use the tether when the car seat is front-facing. Consider including “in case of emergency” information on your car seat for EMTs or other first responders. In the event that a parent or caregiver is injured or can’t talk, having the child’s name, contact information, allergies, medical conditions and pediatrician listed on the car seat can be a lifesaver. Simply attach a luggage tag with the necessary details or tape a note card securely to the seat in an easy-to-find area. For the Convertible Car Seat category, we analyzed 178 of the most popular reviews including reviews from New York Times Wirecutter, Consumer Reports, Baby Gear Lab, Car Seats For The Littles.org, Car Seat Blog, Lucie's List and more. The result is a ranking of the best Convertible Car Seats.